I have found some of the best social media facts that can help educate you on your users, their posting habits, as well as the methods that are most popular. Take a look as it’ll give you a better idea on your target audience and the level to which social media is integrating into our global lives. The average time spent using social media is 135 minutes a day, up from last years 126 minutes. There are 175.4m people watching digital video content in the United States. 78% of people watch online videos every week, 55% watch every day. There are 2.07 billion monthly users on Facebook worldwide. North America has the highest social media penetration rate in the world. 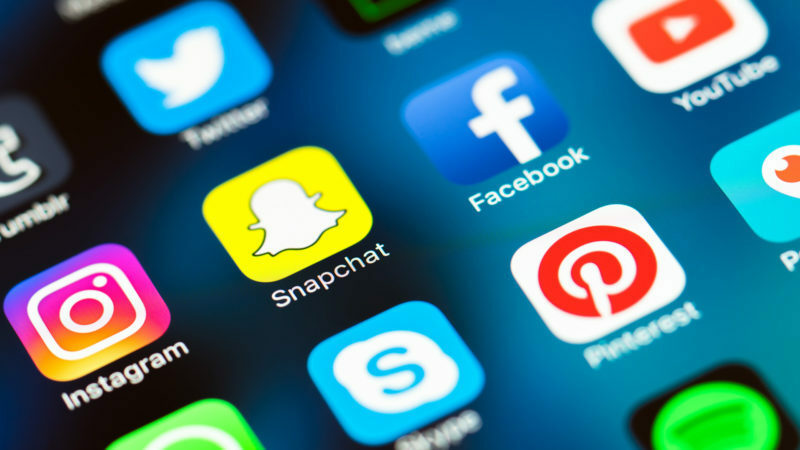 In 2016 there are approximately 206 million social network users in the US. It is forecasted by 2021 that it will increase to about 218 million. 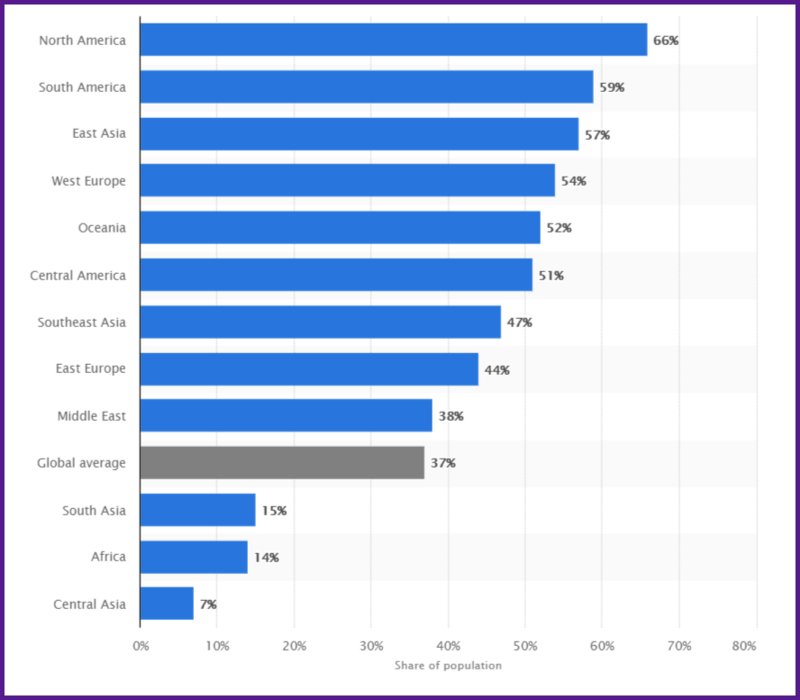 Social media usage broken down into demographics such as gender, age, education, salary and living. The main metrics marketers look for to track success of their social media are engagement and conversion rates. Facebook has 1.37 billion daily active users as of September 30th 2017. As of September 30th, 2017, Facebook enjoys 2.07 billion monthly active users. 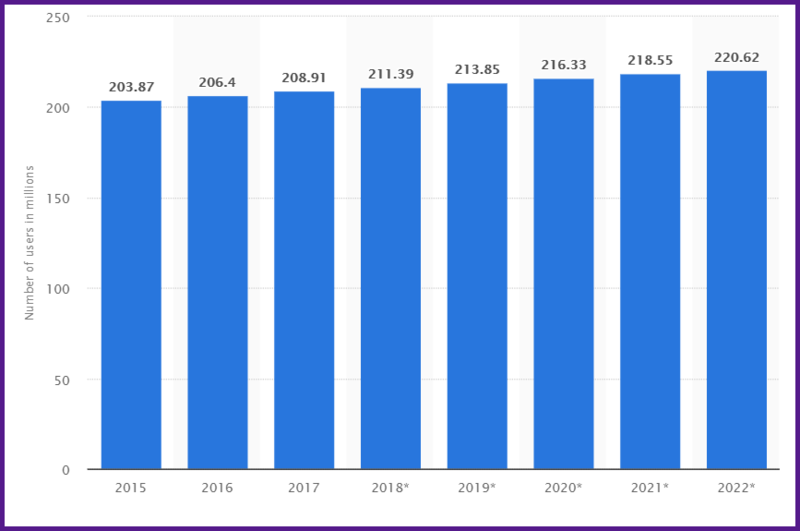 With all of the users that Facebook receives you can expect they need a large team to manage the platform, there are currently 23,165 employees at Facebook. 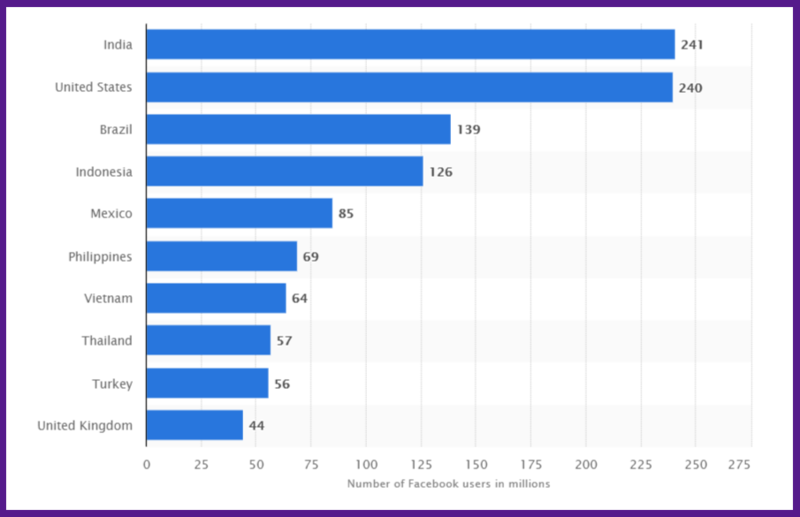 Facebook is the most widely used social media platform. Facebook is the leading source Americans use to find their news. Facebook has attracted over 65 million businesses to use Facebook pages. 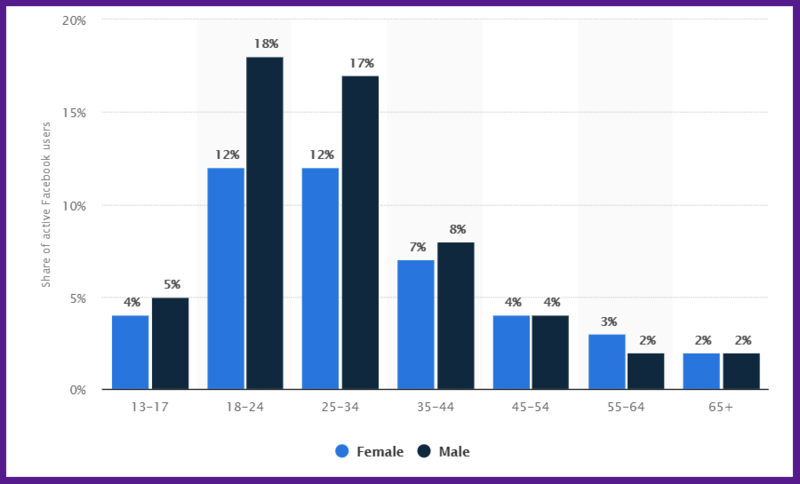 The most active age group on Facebook is 18-34, with the least active being 65+. India has the highest user base on Facebook in the world, followed closely behind by the United States. The number of global Facebook users by the millions. There is an average of 6,000 tweets per second, 350,000 tweets per minute and 500 million tweets a day on Twitter. Twitter has 328 million monthly active users, with Katy Perry holding the #1 spot as the most followed account on Twitter. 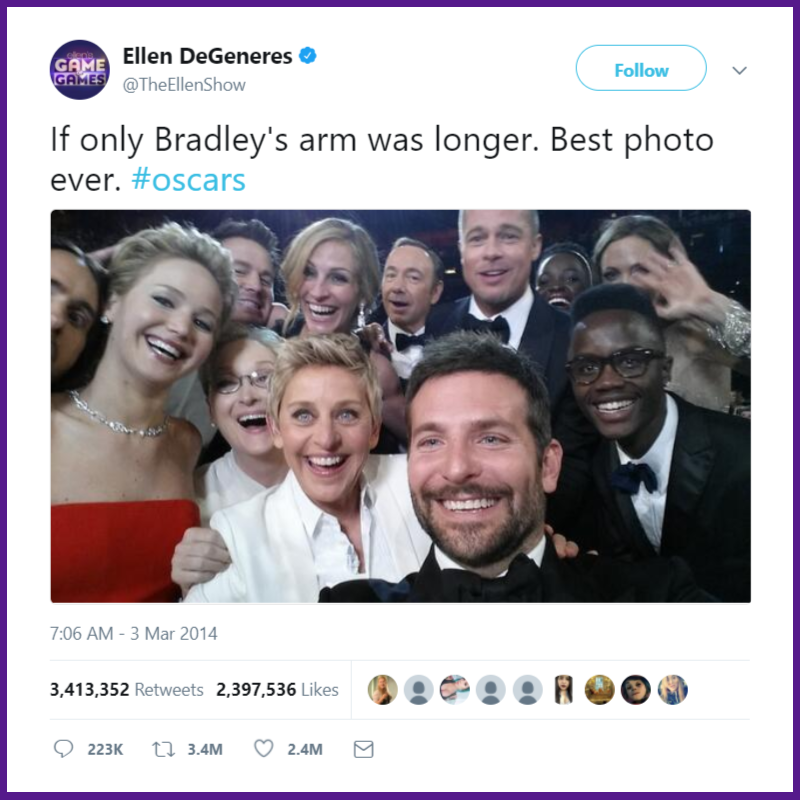 The most retweeted tweet is a selfie of Ellen DeGeneres at the Oscars, surrounded by other top celebrities. 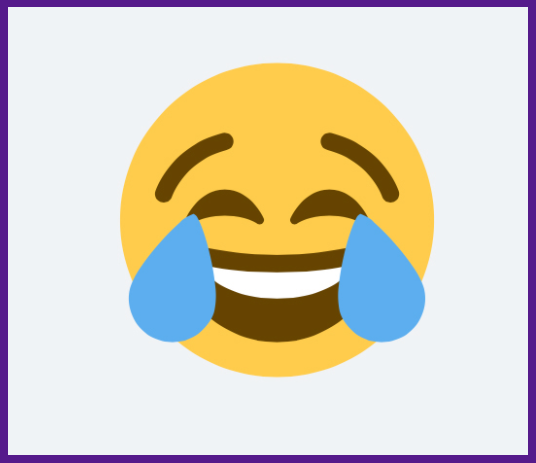 The most tweeted emoji, is named “Tears of Joy” and it has been used on Twitter over 14.5 billion times. 80% of Twitter users use the platform on their mobile device. Based off of 1 million tweets, the ideal tweet with an image has 20 – 40 words, whereas without an image, tweets with 120 – 140 words performed better. Tweets with images performed better, receiving 22.8% more engagement (retweets, favorites, replies). Tweets that did not have links received more engagement, approximately about 25.1% more. Friendly customer service from brands has led to 76% of users to be more likely to recommend that brand. Users who follow a brand are 47% more likely to visit the brand’s website. 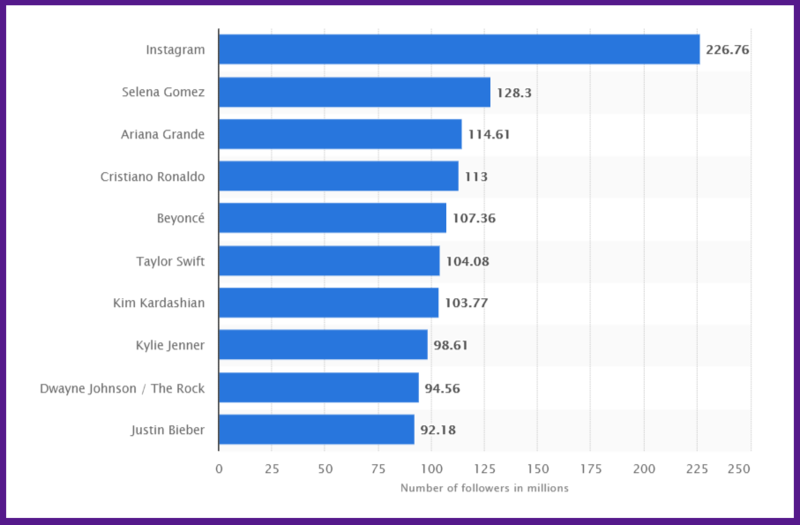 Instagram’s profile has the highest follower base on their platform. Highest follower base of Instagram accounts. 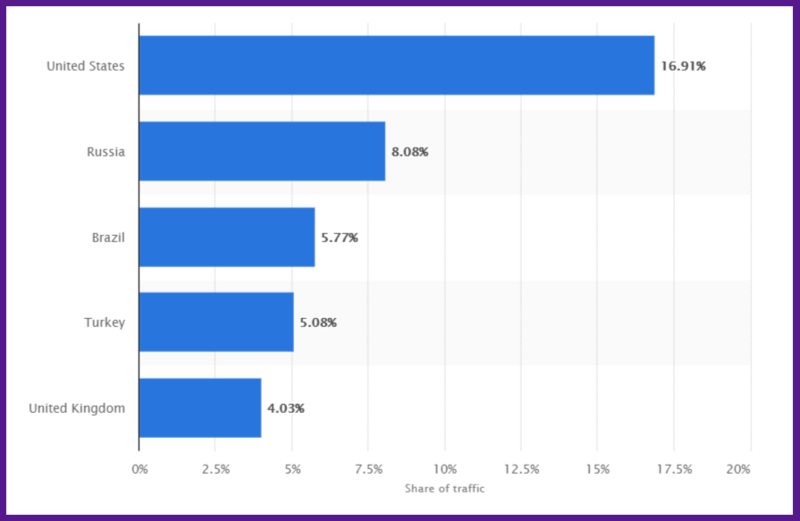 Since September 2017, it was found that the US draws the most desktop traffic to Instagram.com. Regional distribution of Traffic to Instagram.com. Over 300 million users posts Instagram Stories daily. There are over 600 million unique monthly users on Instagram. On Instagram, 80% of users follow a business profile and 200 million consistently check into a businesses profile daily. 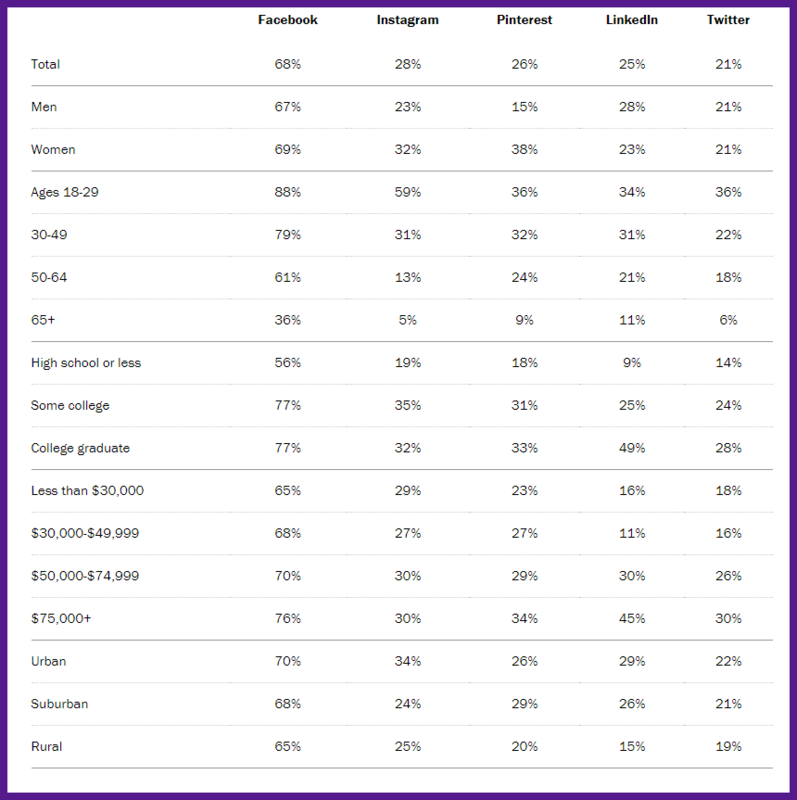 A national study of 1,520 American adults showed that the majority of Instagram users stem from the ages of 18-29. Demographic breakdown of Instagram users in a national study. There are over 800 million monthly active Instagram users. The most Instagrammed location of 2017 was Disneyland, Anaheim, USA. Since its debut, Instagram Stories are 2x more popular than Snapchat Stories. There has also been a conversion of the top Snapchatters posting 25% more on Instagram Stories than Snapchat Stories. Advertisers have spent an estimated 1 billion dollars on influencers in 2017 and it is project to increase in 2018 to 1.60 billion dollars.